Interest rates nave been low for so long it’s tempting to think low rates are the new normal. 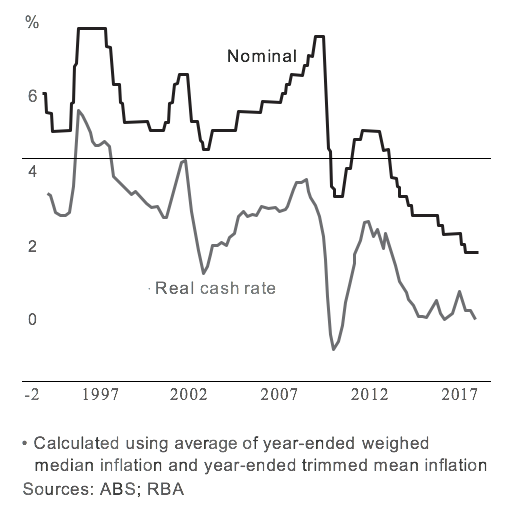 So when the Reserve Bank suggests that a cash rate of 3.5 per cent is the new ‘neutral’, people take notice. Even the Prime Minister warned Australian householders to prepare for higher interest rates ahead. 1 That’s good advice, even if no-one is suggesting an interest rate hike is imminent. Then in a speech on July 26, Reserve Bank Governor Philip Lowe made it clear that rates will only rise once there’s a gradual lift in wages growth and inflation. 2 As things stand, he’s in no hurry. Make the most of low interest rates to pay down expensive debt such as credit cards and personal loans. Credit card interest rates begin at around 12 per cent and rise to as much as 20 per cent on popular rewards cards. One strategy is to consolidate personal debts into your mortgage and save up to 15 per cent in interest. You also need to increase repayments on your mortgage, otherwise you could be paying off your credit cards for 20 years or more.